Maybe you do too. LOL. I said "my" housings. Meaning I have two already, so I'd like to have them put the green into one. Last time I called, they weren't using this CHRA, only the older green. Well, if your housings aren't cracked, it should be completely ok for them to do. I'll shoot then an email. I'd love to have that particular green. Last edited by ZanarkO; Feb 20, 2016 at 05:20 AM. In Cali so would it be better to send in the turbo to FP so they can balance/refresh any bearings etc, and then send it back to bolt up? I get I can do it at home but if they can check all the clips etc and make sure all is well, how much would they charge? I think they reduce their charge to $275+shipping. Used to be $400 last year. 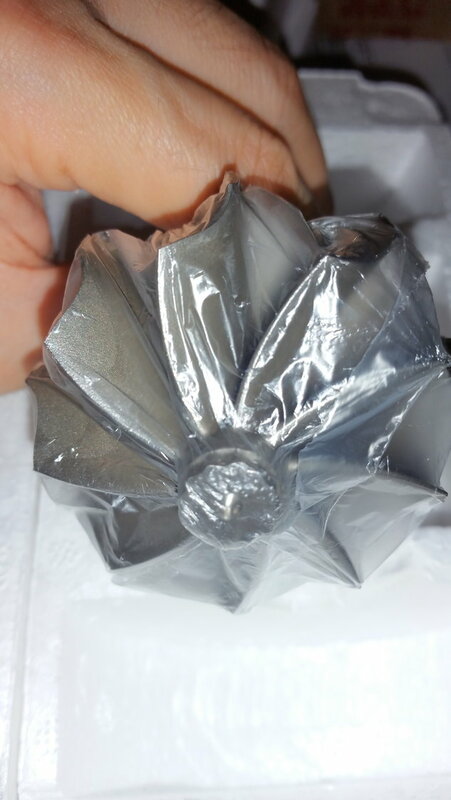 This turbo really needs antisurge cover. If you want to use without antisurge cover, consider changing your turbine wheel to 9 blade to reduce chances of surges. FP won't have that, so you need someone who can customize for you. does it really have that much surge? I run an antisurge housing with an FP intake. It looks fairly OEM ,especially with the air box on. So far ,so good. Last edited by 2006EvoIXer; Jan 13, 2019 at 07:09 AM. Does any one have experience with the FP 71HTA CHRA upgrade?